Walking through JetBlue’s Hangar at New York’s JFK Airport, students visiting from Illinois, Utah and New York show their excitement as they see a JetBlue aircraft directly behind the event’s stage. The Airbus 320 is an impressive backdrop for the granting ceremony that’s about to begin, but these students will be doing more than just taking photos from afar—soon, they’ll be onboard the aircraft, sitting in the cockpit, exploring the underbelly and learning more about what it takes to operate one of these incredible machines. These aspiring aviators are future technicians, mechanics, software engineers, and of course—pilots. The 2014 JetBlue Foundation Grant Recipients represent the next generation in aviation. 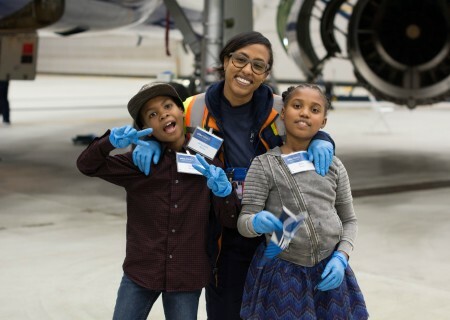 Founded in 2013, the JetBlue Foundation is committed to supporting aviation-related education and STEM initiatives that provide opportunities to empower under-represented students and communities including women. No other airline has gone on record to build a foundation solely focused on supporting aviation education. Thus far, the JetBlue Foundation has built lasting relationships with more than 37 aviation-focused programs and provided over $750,000 in grants to help these programs take off. 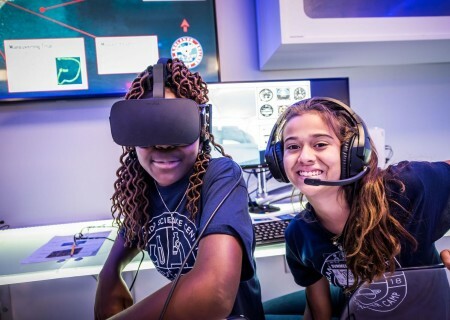 The JetBlue Foundation is the airline’s effort to keep aviation top-of-mind as a career choice through the interest in STEM programs. “We want to encourage youth to reach new heights and be the best that they can be,” said Icema Gibbs, director of corporate social responsibility at JetBlue and also a JetBlue Foundation board member. Icema goes on to explain that “through the JetBlue Foundation, we are providing access to STEM education and aviation careers as early as possible.” The biggest hurdle to a career in aviation is limited access to STEM education at an early age. Among traditionally under-represented communities, less than 7% of U.S. commercial pilots are women, 5% are Latino, and approx. 4% are African-American. That’s just counting commercial pilots—among aircraft mechanics and service technicians, women make up only 3% women make up only 3%! 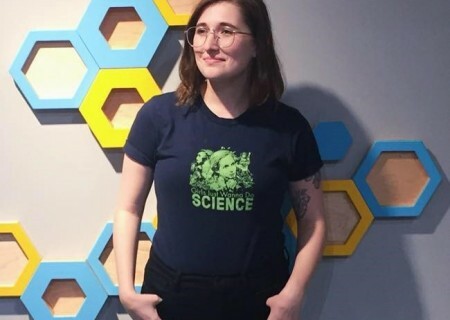 The JetBlue Foundation is working to change these statistics in aviation (and beyond) by encouraging STEM education as early as possible, eliminating barriers that prevent students from expanding their interests and taking flight in their careers.